The process of upgrading the internal hard drives of Macs, iMacs and MacBook’s are usually tedious and extremely difficult, because of this challenge users prefer to transfer their files to an external hard drive when they start running out of storage space. Here, we list the top 5 external hard drive for Mac. There are a lot of hard drives available but only a few are compatible with apple's file system, and are able to match the range of high speed ports that Macs come with. When you store important files and documents in an external hard drive, you need to be assured your data will not be lost or corrupted. These hard drives listed below are the best hard drives for mac because of their dependability, durability and affordability. This hard drive has a 4TB capacity and an Interface of USB 3.0. It is the latest generation of the Western Digital My Passport external hard drives which comes in capacities ranging from 1TB to 4TB and cost about $99.95. It is a brilliant external hard drive that features cloud storage and 256-AES encryption, along with WD's own backup software. It has good data transfer speeds and is a good balance between data speed, capacity and affordability. This unique thunderbolt external hard drive comes in 1TB and 2TB capacity, its interface is the Thunderbolt, USB 3.0. It is not SSD and it is also mac formatted, which means that if you want to make use of your Mac's Thunderbolt port, then this hard drive is for you, as it provides twice the speeds of the standard USB 3.0 drives. It still uses a traditional hard drive so the speed isn’t as fast. It also comes with an additional USB 3.0 port for connecting to computers without the thunderbolt port. It is very affordable costing about $191.25 which is much cheaper than all the other Thunderbolt drives. This hard drive is one of the best external hard drives for mac. It comes in a slim and stylish design and is one of the fastest high capacity hard drives compatible with a Mac, it has a large storage capacity of 4TB with a USB 3.0 interface, as well as an eSATA and FireWire connection. Although it can be noisy, this all-aluminum sturdy hard drive will certainly protect your data from the impact of falls while also keeping the drive cool when it is being used. It is quite affordable as well costing only $149.99. The Samsung T3 SSD is one of the fastest external hard drive for Mac, it uses a solid state drive, which means that the read and write speeds of this drive are a lot faster than external hard drives which use traditional hard drives. Its speed sets it at a very high price costing about $468.85. it also has a lower capacity of 1TB and a USB 3.1 interface but if your main concern is transfer speed then this is the best hard drive for you. The Buffalo MiniStation Extreme NFC is a flexible hard drive which is compatible with both Mac and Windows machines, it has a 2TB capacity and comes in a dust and water resistant casing, it also has a built-in USB 3.0 cable and its rugged casing ensures your data is protected from the impacts of falls. It has a 256-bit AES security and an NFC (Near Field Communication) feature and cost about$106.99. Recovering files from data loss seems difficult most of the time but with the help of some data recovery softwares you can now successfully retrieve lost data easily, the best data recovery software to use is the AnyRecover for Mac. 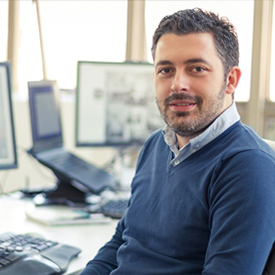 This software lets you retrieve all types of documents, emails, photos, videos, etc. from your MacBook, iMac and even their external hard drives. You can also retrieve data lost from empting your trash, accidentally deletion, partition errors, virus attack, hardware failure and also formatted device. Step 1. 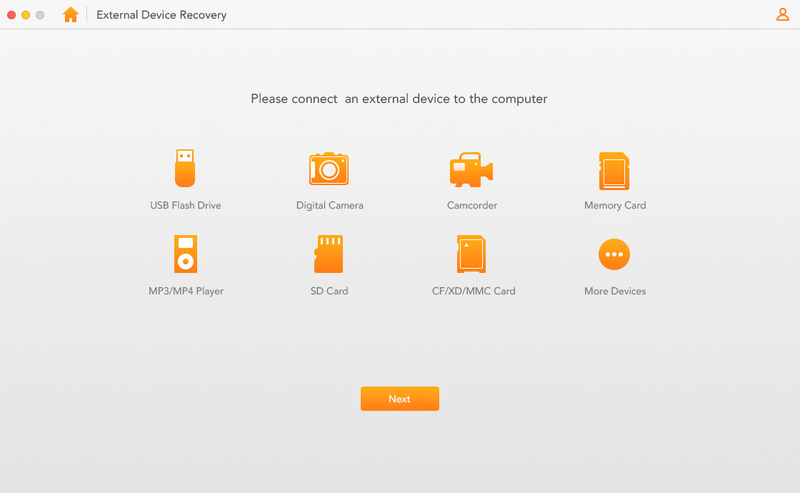 Download and install the AnyRecover software and select the External Device Recovery mode. Step 2. Connect your external hard drive to your computer, and click on Next to select the file type. Step 3. Once the scan is completed you will see a preview option that lets you view the scanned files. 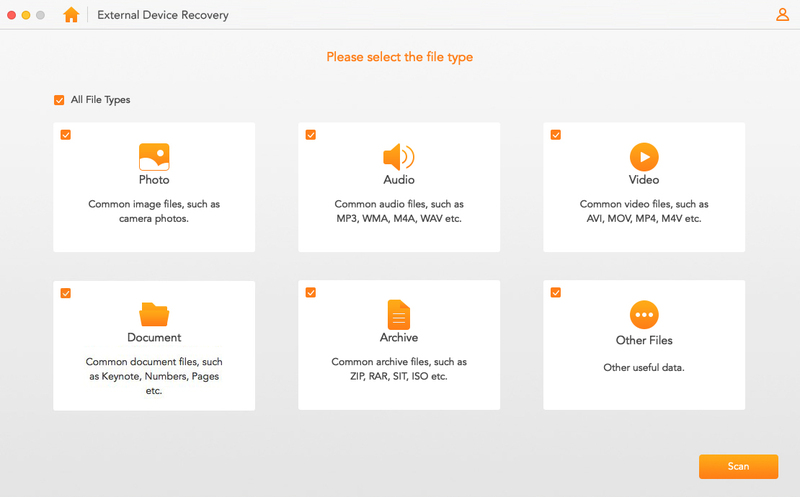 Click on the “Recover” button to retrieve the lost data. So if any of your hard drives, computer or device has any data loss problem instead of panicking you can download the AnyRecover for Mac software and follow the simple steps to restore your lost data. If you still feel unsure, you can check out the free trial section before you finally purchase the software.